Viburnum (Viburnum spp. ): growing, planting, caring. Viburnum is a genus of about 150–175 species of excellent shrubs for the garden, hardy and easy to grow. Some have remarkable foliage, and others bloom beautifully. Scientific name : Viburnum spp. Viburnum are shrubs appreciated by communities and the experienced gardeners for their dense foliage and their abundant spring bloom. The genus Viburnum comprises about 150 species. The leaves are opposite, simple, and entire, toothed or lobed - cool temperate species are deciduous, while most of the warm temperate species are evergreen. Some species are densely hairy on the shoots and leaves, with star-shaped hairs. The flowers are produced in corymbs 5–15 cm across, each flower white to cream or pink, small, 3–5 mm across, with five petals, strongly fragrant in some species. They are followed by very visible red fruits that are not edible for humans, but that birds will appreciate. 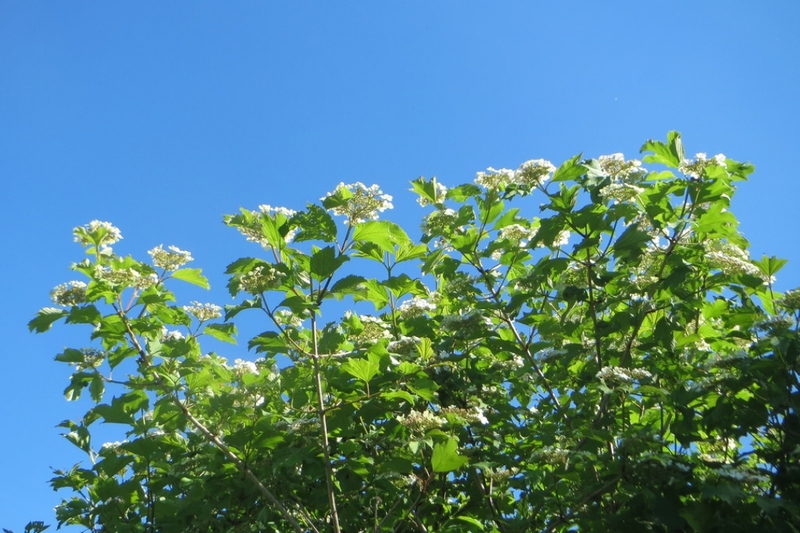 Viburnums belong to the genus Viburnum, which has about 150 species of shrubs and trees. Some species have inflorescences very similar to those of hydrangeas. The foliage is evergreen, semi-evergreen or deciduous depending on the species. They have opposite leaves or are arranged in whorls by 3. They are often strongly ribbed, sometimes lustrous, whole, toothed or lobed. The leaves of the deciduous viburnum take warm shades in the autumn. The flowers appear grouped - in panicles, cymes, bunches or corymbs - and almost always bear 5 lobes. They can be white, cream, or pink. Afterward appear very visible red fruits that are not edible for humans, but that birds appreciate. 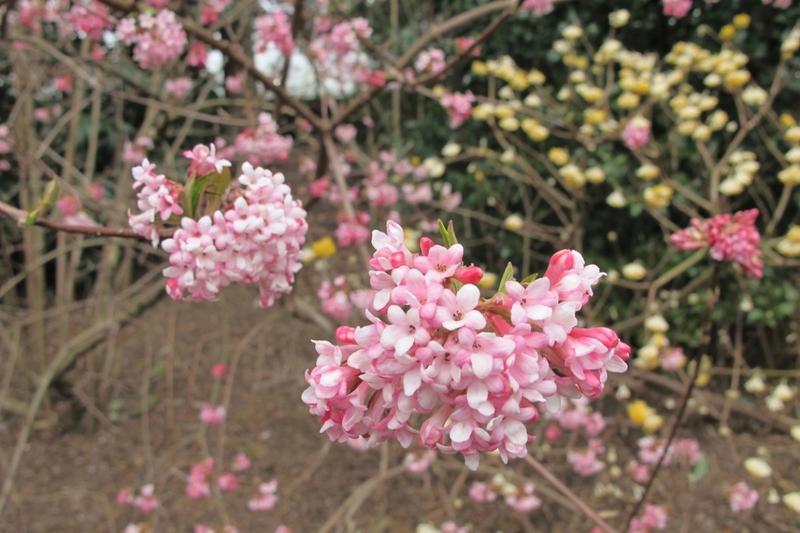 Viburnum flowering is usually spring-like, but there are exceptions such as the Viburnum tinus that blooms in winter. 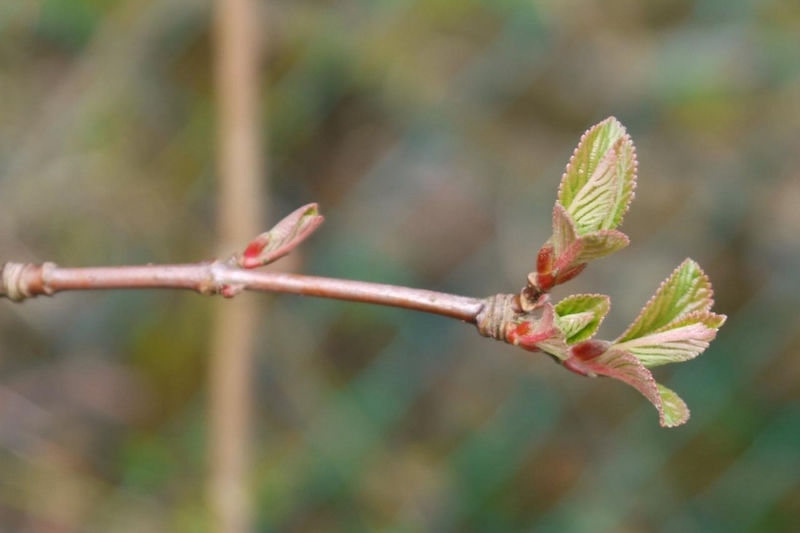 Plant your viburnum from October to March outside the frost period - planting before winter allows for better rooting - in sunny or semi shade, if possible sheltered from drafts. 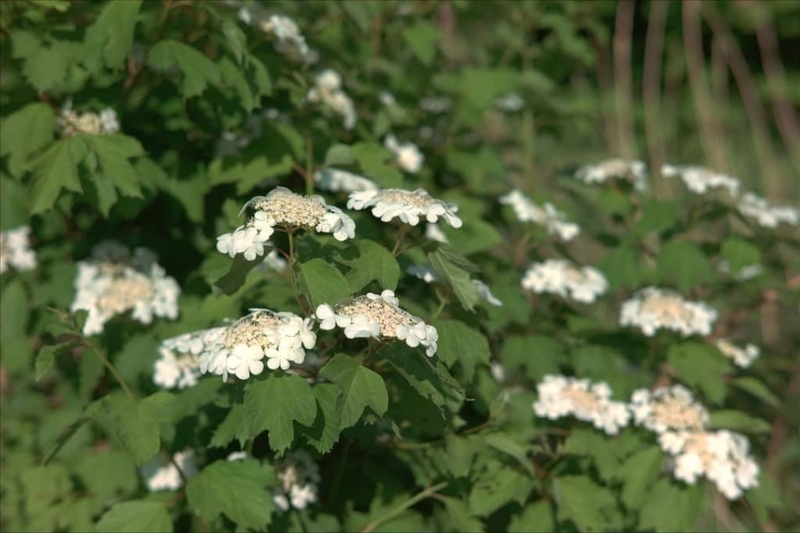 Viburnum prefers a drained, moderately fertile, cool soil. Before planting, prune damaged roots and branches to balance root volume and aerial volume. Plant in a hole at least twice as big as the root ball. Soaking roots before planting will greatly improve the chances of recovery, regardless of the conditioning. Plant being careful not to bury the bottom of the trunks. Form a hollow around in the soil, it will be used for watering during the first months. Tamp the soil around the roots - do not hesitate to use all the weight of the body! Finally water until the hollow is filled, at least two watering cans! In pots, plant in a large tray or a very large pot, cover the bottom with gravel and fill the tray with a mix of potting soil and soil. Plant, then add some mulch on the topsoil to limit evaporation. Sprinkle. Viburnum holds pruning well: On evergreen species, in February-March prune the entangled branches - which intersect. For deciduous species, just trim the ends of the branches that have bloomed. Water regularly and generously for several weeks after planting or sowing, especially if you did it late in the season. After, no need to worry about it, except except if your plant is in a pot. 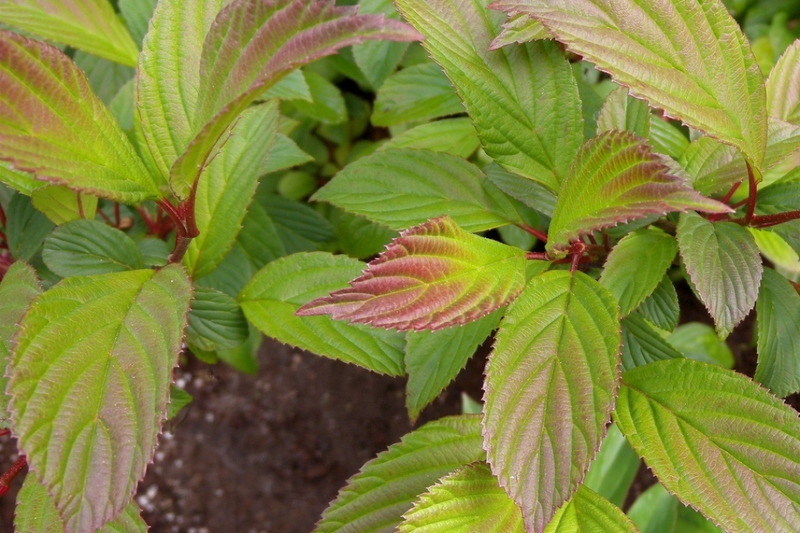 Renew mulching in the fall at the base of your viburnum. Choose a mulch made of wood or bark, which will protect the soil longer. 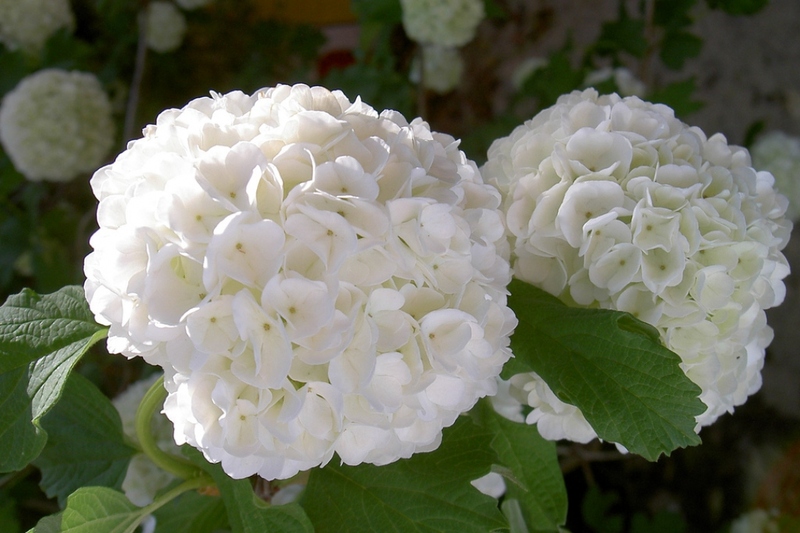 If you keep your viburnum in a pot, replace the topsoil with mature compost. 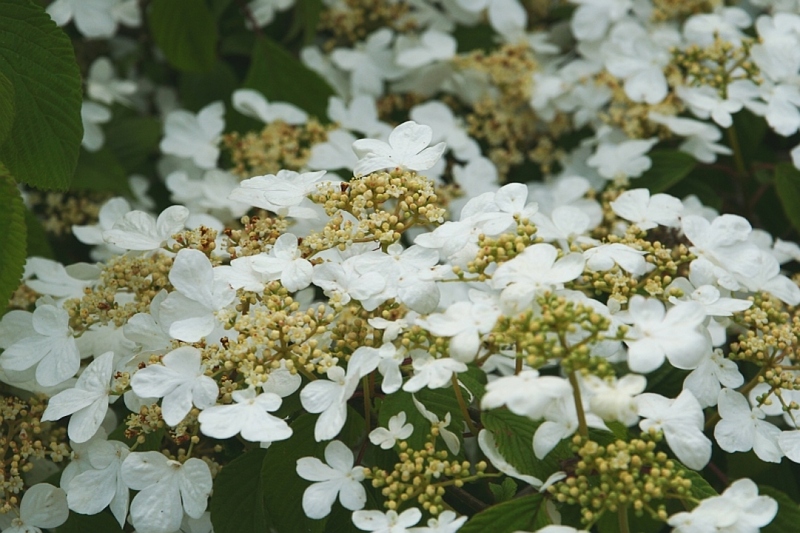 Viburnum are attacked by aphids and whiteflies, especially if they are weakened by poor growing conditions. If you see a white felting on the leaves - powdery mildew - it is because your plant lacks water, or that its foliage is too dense. Water, and remove the forks of the central branches. If you see devoured leaves with only the veins, this is the trace of the passage of a voracious beetle. If damage is severe, prune stems with black markings in winter and burn them, and provide more light to the plant.